In evolutionary terms, pain is there to protect us. You only need to look at the fingers and toes of people whose nerve endings are not working properly such as with diabetes and leprosy, to see the damage that not being aware of pain can cause. Burns and injury are much worse without pain to tell you to move away from the heat or sharp object. Some 10 million people in Britain live with chronic pain and the cost to our economy in terms of time off work, medicines and doctors' time runs into billions of pounds each year. There are many medical definitions and descriptions of pain but arguably the most important point for a doctor to understand is that pain is what the person suffering says it is. It could be an acute pain from appendicitis or a broken bone, or it could be chronic pain which gnaws at you day in, day out, from any one of a host of causes. Teasing out the different features of your pain will help to determine the cause and enable correct treatment to be given. Our understanding of pain and our ability to treat it constantly evolves and there are now many helpful new techniques and special pain clinics available to help. 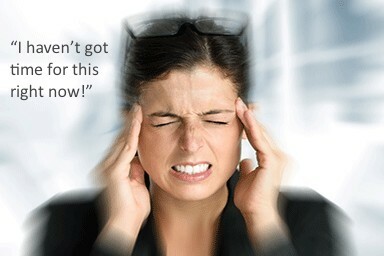 Headache is one of the most frequently experienced pains. If you have never had a headache, you are lucky. A severe headache is debilitating. It is rarely a sign of serious illness, but can be a part of numerous general illnesses such as flu or other infections. A tension headache feels like a tight band or pressure around the head. It comes on during the day and does not respond well to painkillers. It can be a symptom of stress, anxiety or overwork. Sometimes headache comes on as painkillers taken for something completely different wear off. This is particularly so with codeine, and it leads to a vicious circle. More painkiller, more ‘withdrawal' headache, more painkiller. The solution is to stop everything for a few days and to rest or treat yourself to gentle walks in fresh air. It may take up to five days to settle completely. Migraine affects 8 million people in Britain and the Daily Mail reported in September 2014 that 25 million school and work days are lost per year due to migraine attacks. 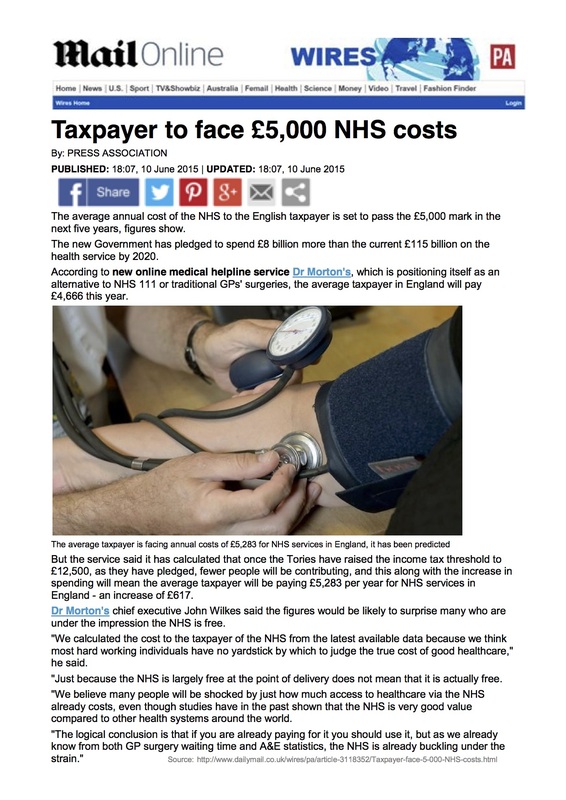 This costs the UK economy £7 billion per year! Migraine is caused by changes in the blood vessels inside the brain. The vessels initially constrict (get narrower) which causes an odd premonition of an impending attack which can take many forms including odd vision. The vessels then dilate (get wider) and it is this that causes the headache. It is commoner in women and some migraine is related to the hormonal changes of the menstrual cycle, occurring during the luteal (progesterone) phase of the cycle. Some women stop having migraine after the menopause and other women develop headaches of one sort or another after the menopause. Really no scientific logic! Women who have migraine should take expert advice before starting a combined (oestrogen and progesterone) oral contraceptive pill. If you keep a careful diary you may be able to identify foods or other things which trigger your migraine attacks. There are numerous treatments for migraine, some of which are used in prevention as well as treatment. Meditation can be helpful. Painkillers work in different ways and different painkillers are appropriate for different causes. For example, mefenamic acid is particularly good for period pain and can reduce the heaviness of periods too. Paracetamol has the additional advantage of bringing down fever. Ibuprofen has an anti-inflammatory action. Expert advice may well be useful to choose the best regime for your particular pain problem. Some painkillers used together will work ‘synergistically’ - each one will enhance the effect of the other. Paracetamol dosage is important. Adults can take up to 1 gram (2 tablets) at a time and up to 4 grams per day. Children’s paracetamol dosage is according to their weight so read instructions carefully. Paracetamol overdose causes serious harm to the liver, and people who already have liver damage should take advice before taking paracetamol. Sometimes an epidural or other local or regional anaesthetic technique may be suitable. Complex pain may benefit from a consultation with a pain specialist.